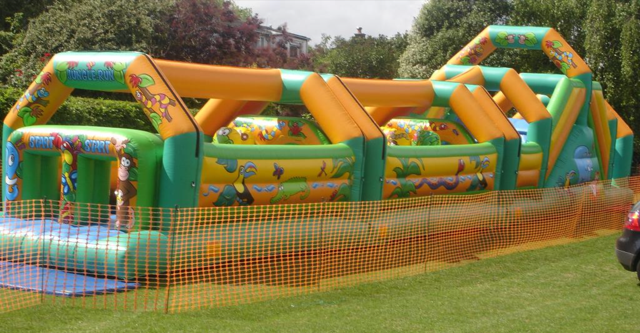 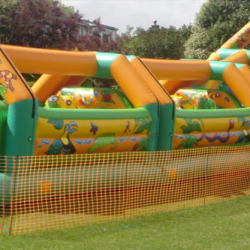 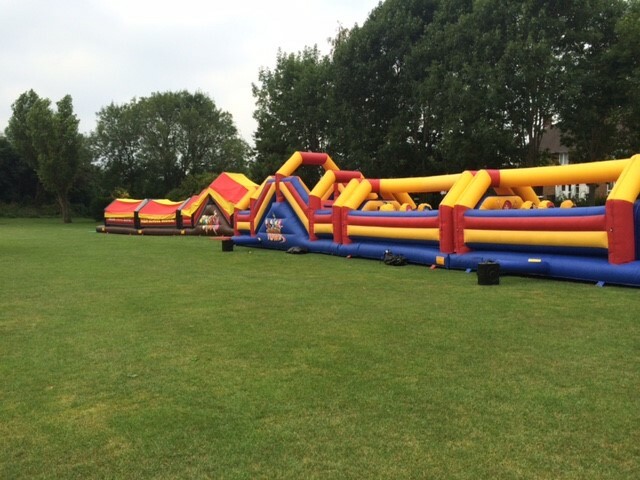 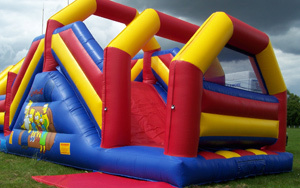 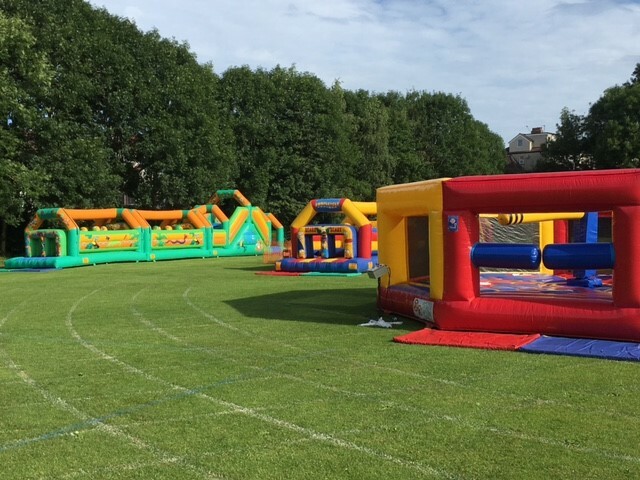 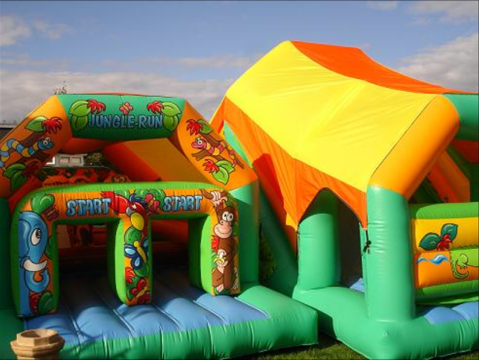 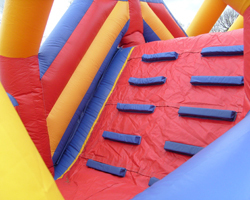 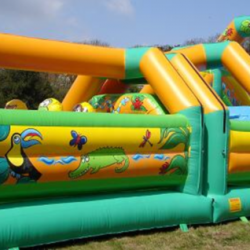 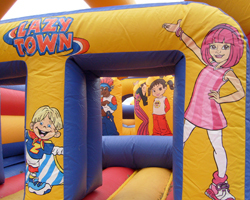 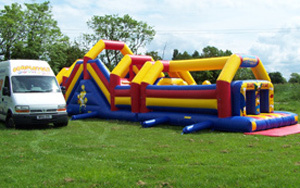 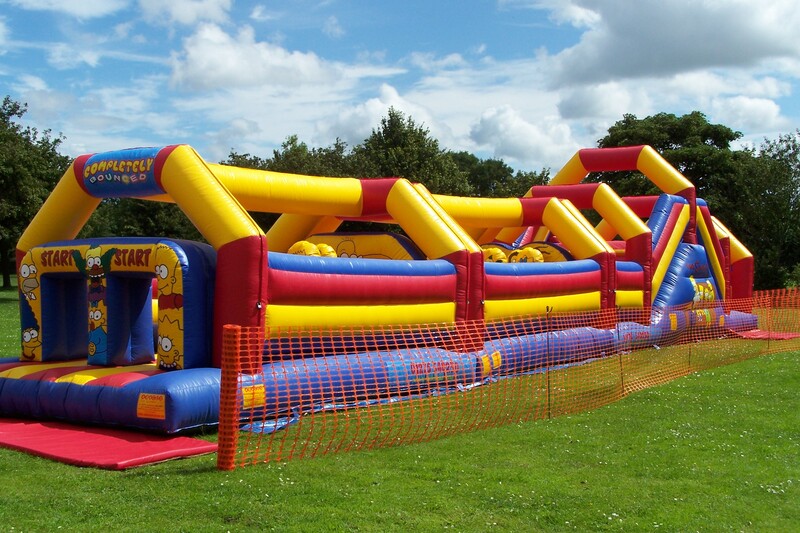 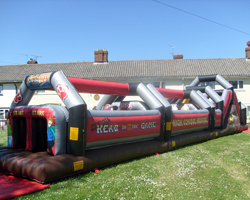 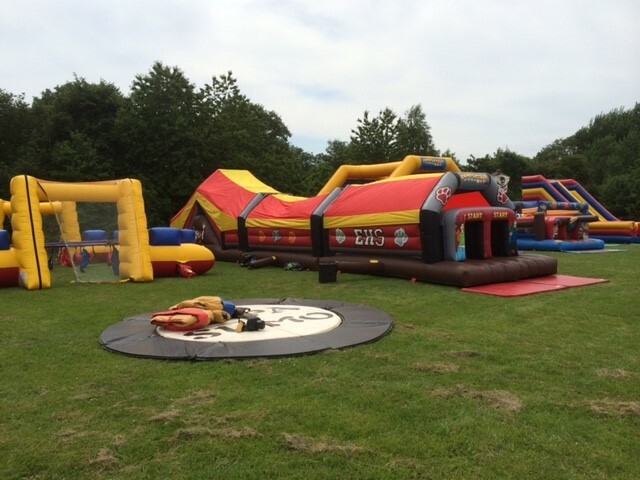 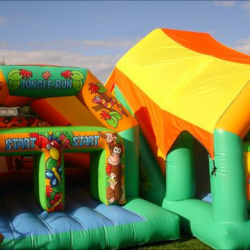 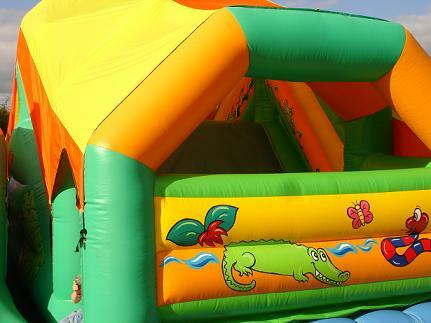 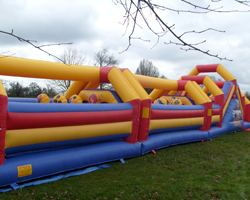 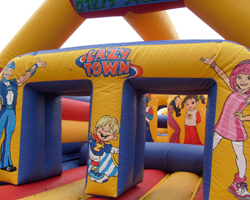 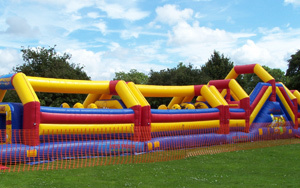 Our obstacle course are made up of 3 sections making them 61ft long. 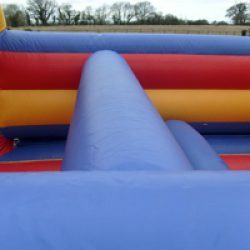 We can shorten them to 43ft for smaller gardens by missing the middle section out. 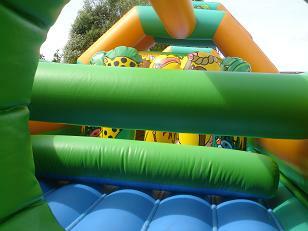 The sections which all join and lock together with Velcro are built up at the time of set up. 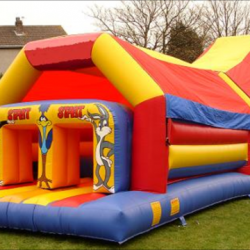 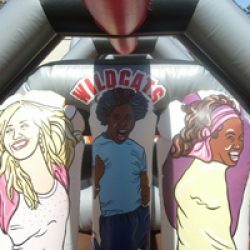 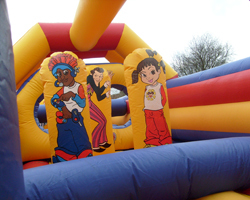 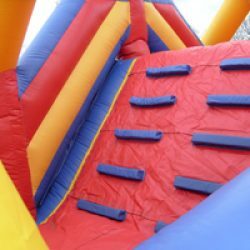 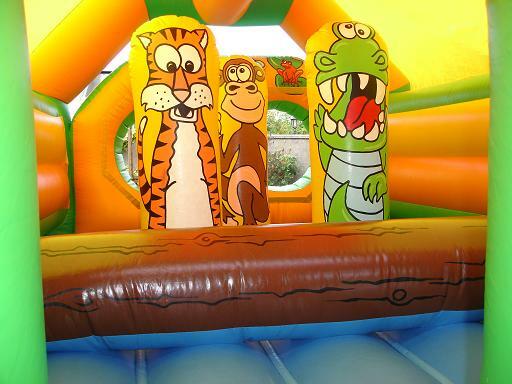 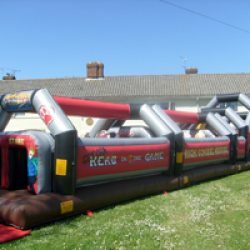 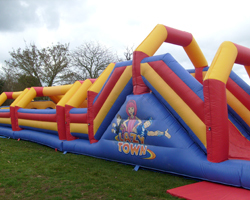 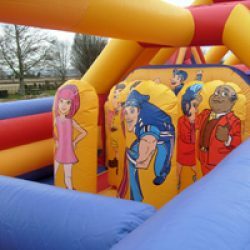 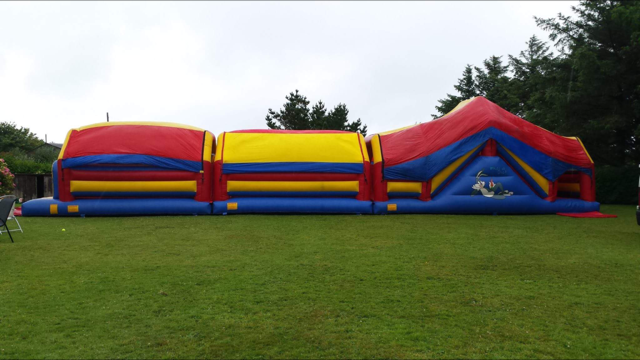 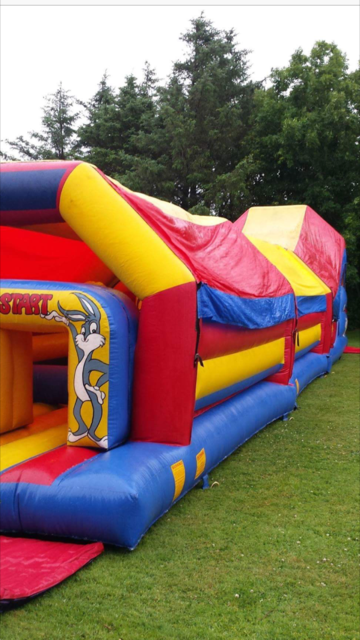 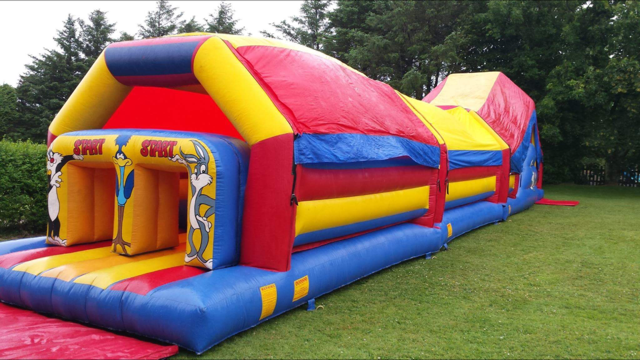 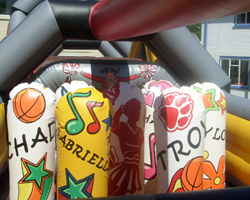 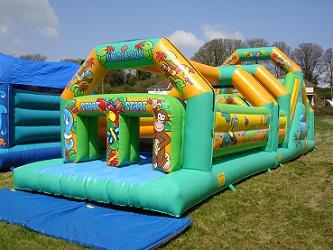 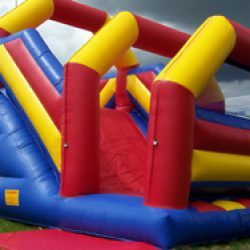 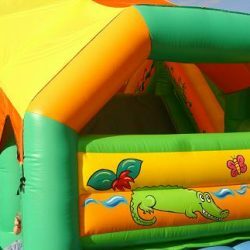 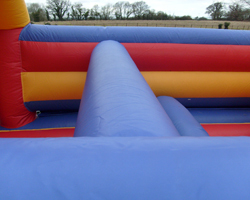 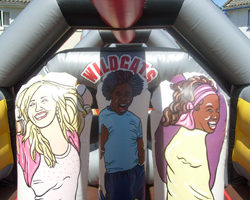 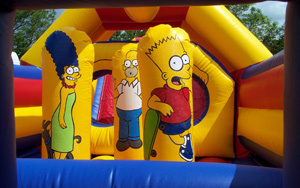 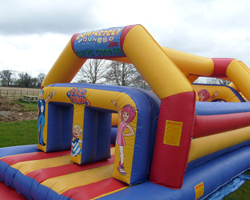 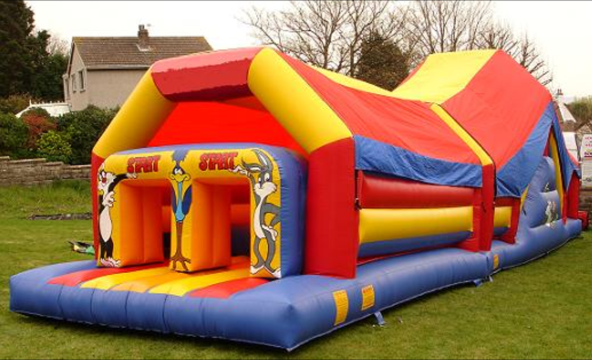 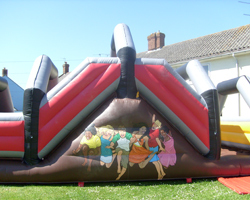 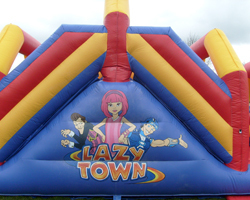 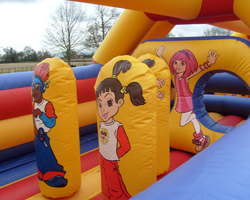 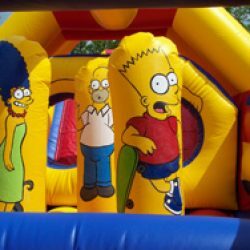 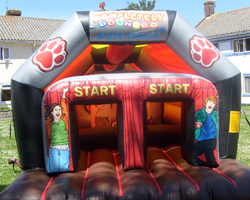 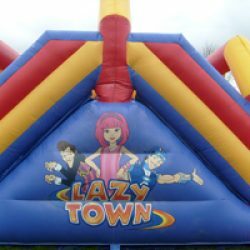 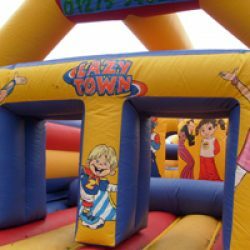 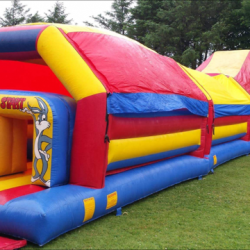 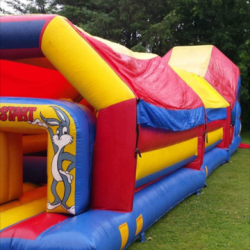 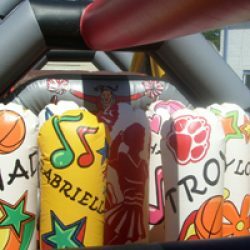 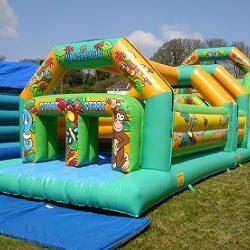 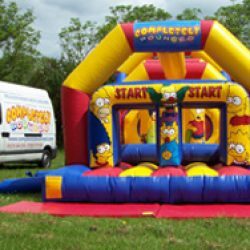 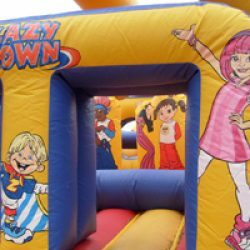 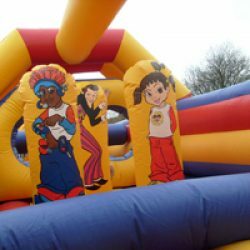 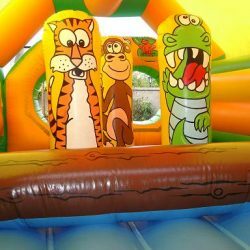 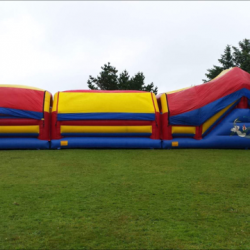 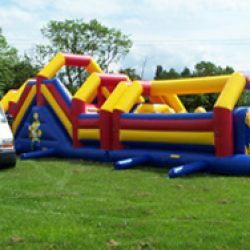 These inflatable normally take one hour to set up. 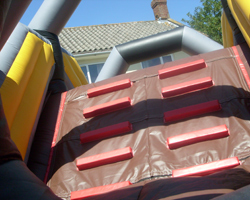 Some of our assault courses do come with roofs. 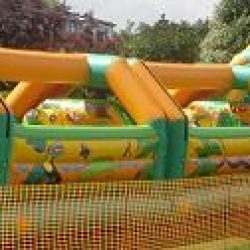 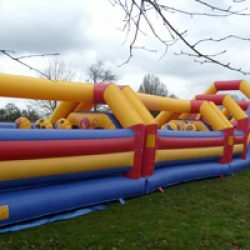 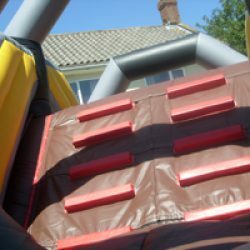 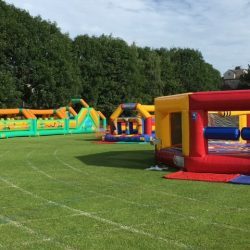 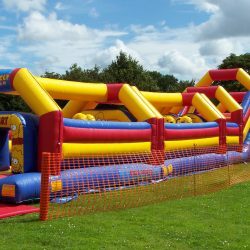 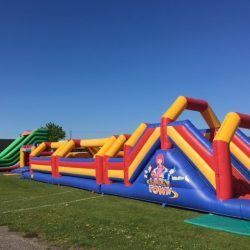 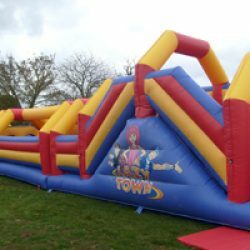 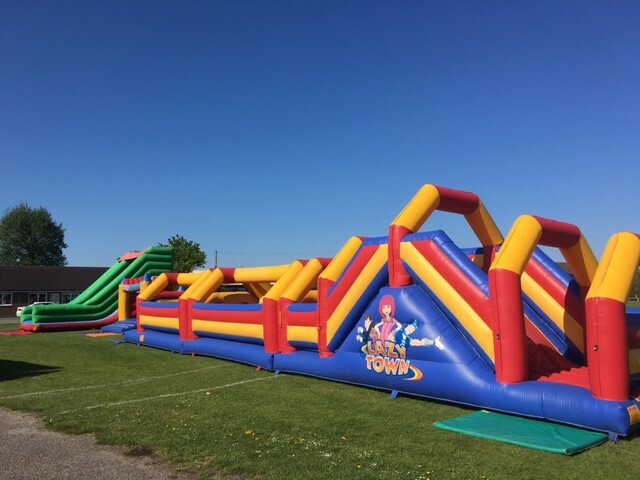 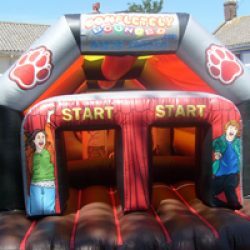 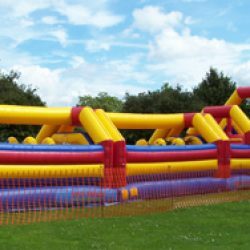 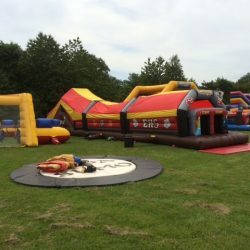 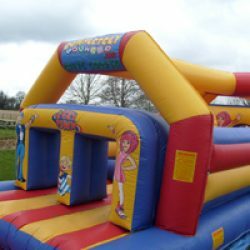 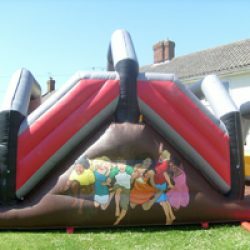 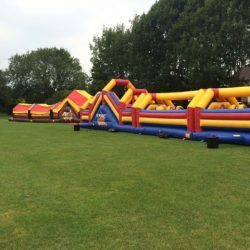 The first and second sections has obstacles to climb under and over, along with lots of biff bash with all your favourite characters inside. 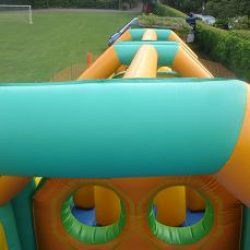 The third section is a large slide with easy climb steps. 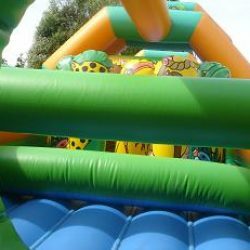 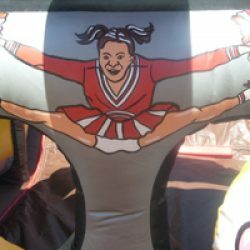 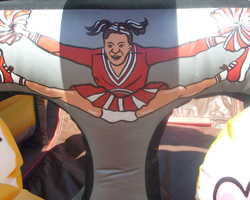 This equipment is suitable for children and adults. 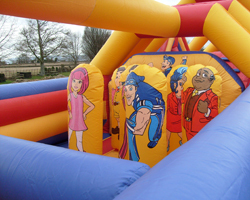 If you require any more information please call or email us. 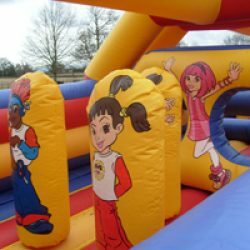 Don’t forget to look at some of our other products and services. 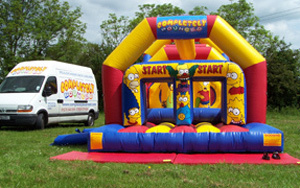 We do offer discounts when booking multiple items. 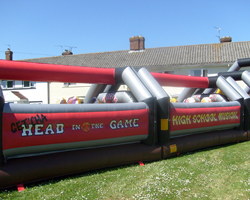 SIZE: L 61ft x W 12ft x H 13ft. 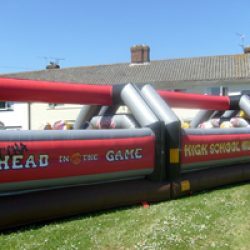 SIZE: L 43ft x W 12ft x H 13ft.